Help with plan please, Chiang Mai to LP - then what? I've never done the boat from Huay Xai to LP so can't comment on that. But I will say that three weeks really is not a long time and, whether you go to Northern Vietnam or down to Cambodia, you're talking about covering long distances in countries where overland travel is very, very slow going. You don't want "hard slog travel" but what you're describing is exactly that. Consider that just getting from Chiang Mai to Huay Xai involves an eight-hour bus ride, so that's a day. Getting from Hanoi to Sapa involves a roughly 12-hour train ride; when I did that we had to spend a night in Lao Cai and didn't reach Sapa until late the next morning. Getting from Luang Prabang to Cambodia overland is the kind of trip that requires a really slow pace; something like that would pretty much need to take up your whole three weeks unless you don't mind spending day after day on Lao and Cambodian buses. - 1 more day in Hanoi b/c you probably won't want to travel again the day after a long train ride. - 1 day train or flying Hoi An > HCMC and then maybe 1 or 2 days in HCMC before flying home. That would be too much travel w/ too little time in each destination for me, personally. Since you have to cover the terrain between Chiang Mai and HCMC one way or another, I suggest that you pick three or four destinations total, including Chiang Mai and HCMC, and then look into options for traveling between them while keeping in mind that flying will save you some really long journeys overland. Flights between Chiang Mai-LP, and LP-Hanoi, are pretty expensive though. As for places to stay, our favorites are all listed in the accommodation sections for every destination -- just type in a search for each destination name on this site to find them. Thank you so much for that, you are right, originally I had 5 weeks planned so I guess Im still a little stuck on that time frame. After posting yesterday I did a bit of looking around and thought maybe instead we'd go from Chiang Mai up to Chiang Dao for a day or 2 before heading back and getting flight to LP, then a few days there, fly to Hanoi - forget about Sapa, just have 1-2 days Hanoi, then train or fly (don't like flying too much goes against the grain but its tricky) to Hoi An and just spend rest of time around there before train to HCMC for just 1 night before flying out. So - sort of 4-5 days in/around each main place (CM, LP and Hoi An) with the extra 6 days for travel and nights in Hanoi and HCMC. I guess if its possible to fly to Hoi An (is it Danang airport?) from LP that would save even more time but be a shame to miss Hanoi, but then if we could do that we may still be able to get the slow boat. Anyway thank you so much for your reply, I really appreciate it and it has been helpful. Any thoughts on my new plan would be appreciated. Three weeks with fixed entry and exit points and several dots to connect. Fly into Chiang Mai, yup, give that 3-5 days - walk/bike around the old city, visit temples/markets/restaurants. Then decide where next - into Laos via bus/minivan (6 hrs to border @ Chiang Khong / Huay Xai) then 2-day slow boat to Luang Prabang. Note: there are several options - standard slow boat goes every day & cheap, or more upscale options which go as per demand. Do a search on "Nagi of Mekong", "Shompoo Cruise" and "Luang Say". Your busy business woman friend may have to adjust to Lao-time (slow). Stay 3-4 days in LP, go to the caves, waterfalls, villages, ride bikes to Henri Mouhot's grave, visit National Museum, night markets, etc. Then fly to Hanoi, take some time there, maybe do a Halong Bay cruise (2 days min.) then fly to Danang and connect with Hoi An. Then fly down to Saigon (HCMC) for a final 1-2 relaxed days. Of course you could alternatively fly to Cambodia and do Angkor Wat and Phnom Penh. Three weeks is a decent amount of time, but choosing between four countries still needs some prioritisation. Wow great reply thank you! Yuss I'm so glad you mentioned the slow boat because I really still want to do it but reading old posts here put me off. Now I'm sorted, pretty sure I know what to do - wasn't previously so keen on Halong Bay I heard it was absolutely swamped with tourists but I'll look into that again. I'll leave Cambodia for another time. Just a couple more questions - Vietnam Visa - is it still essential to organise before leaving or can that be done in Thailand or Laos? And Captain - if we decided not to do Halong Bay is Chiang Dao worth a day or 2 for markets, cave and hiking instead, or is it too similar to Chiang Mai and so should swap it out with something else? Just thought maybe could go from there to Chiang Khong instead of backtracking. Businesswoman friend makes beautiful baby/child swings from their converted old church, they sell well internationally and she works constantly, but is chill. ^Can get Vietnam tourist visas in Laos, at the Vietnamese consulate in Luang Prabang or Embassy in Vientiane. As for Chiang Dao there is the town itself which is sort of an anywhere-Thailand place, but what may interest you more is the area out of town near the cave. Nice dense jungle with hiking paths and mountain bike possibilities. Have stayed at Chiang Dao Nest with Hobbit-style bungalows and great restaurant, and at Malee Nature bungalows next door. Both recommended. Carrying on to Chiang Khong probably need to connect via Chiang Rai . Another consideration, time permitting, is carry on north to Thaton (same buses as Chiang Dao) - nice little riverside town next to a Buddha-covered hilltop with decent road/path up. Then there are daily boats to Chiang Rai on the Kok river. Just a few ideas. Thanks again for your helpful reply. You have me searching the maps and thinking differently - perhaps spending 5-6 days from Chiang Mai (2 nights)/Chiang Dao (stay at Nest)/Tha Ton/Chiang Saen and then Huay Xai for boat. It's either that or option 2 for the time we have will be go straight to Cat Ba Island from couple of days in Hanoi and do tour of Halong or Lan Ha Bay from there for 3-4 days, then Haiphong and down to Hoi An (maybe train or fly?). Just not sure how to get round that first area (CM etc) if we choose that option. I haven't looked up the Kok river boat yet but my friend did that some years ago so isn't that keen to repeat. I guess there'll be local buses to each place but I'm afraid might be getting into the 'hard slog' travel that we don't really want, although the distances don't seem far so it might be quite cruisy. 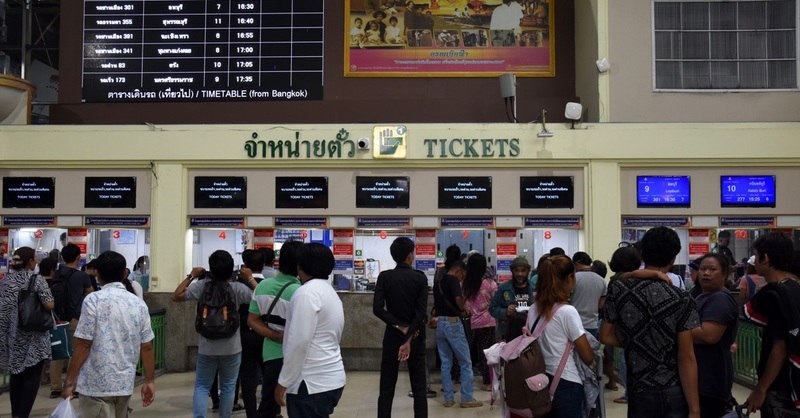 With the far-north Thailand options, Tha Ton, Chiang Saen and Chiang Khong (Laos border) are map-close, but with public bus may require transit via Chiang Rai. Or connect via Mae Chan hub if possible. Thanks Bob, I see that. Think we will take this option have worked out can fit Cat Ba in too. Think might bypass Chiang Dao and head straight to Tha Ton as you suggested, then get the boat to Chiang Rai, next day straight to Huay Xai to catch boat following day (we'll take the standard one to save some money I think). It's a real shame we cant go from Tha Ton to Chiang Saen and from there to Chiang Khong but as you say doesn't look possible so never mind. A possible alternative to the Kok river boat for us is to go to Mae Salong from Thaton and stay the night there and maybe get to see some of the hill tribes? I don't know but it's fun planning. If you have any experience of this or could recommend one option over the other I'd be pleased to hear it.